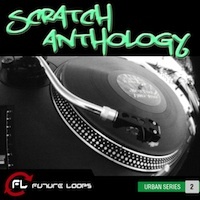 Future Loops presents Scratch Anthology the second title from our Urban Series...an awe-inspiring collection of scratch samples that will add an authentic street flavour to your tracks! 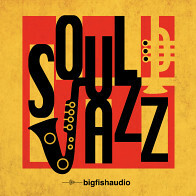 This funky collection was produced by Dj Quest (Space Travelerz, LiveHuman), scratch expert and virtuoso, to delight you with the best turntable sounds on the planet! 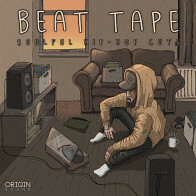 Dj Quest created a massive sample library (over 1000 scratch loops) that is both a stand out of his unique talent and many years of experience of scratching and turntable techniques, and also a powerful tool built for extreme usability: you will now be able to access a glorious resource of superior turntable loops that will give that urban feel to your music. "Scratch Anthology" is a rich assortment of turntable/scratch based music compiled with over 700MB worth of true turntable mechanics. "Scratch Anthology" contains a wide variety of scratch patterns from different eras of the art form: from old school basic rubs to modern styles such as crab and flare. 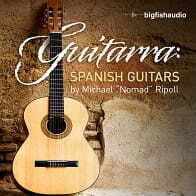 The samples, all loop ready (WAV and REX), vary from 1-2 bar as well as 1/4 and 1/2 note. In addition, the range of sounds expands the usual expected by incorporating cut up instruments (drums, basses, horns, vocal phrases, etc) and electronic sounds for the user to compose tracks completely with "Scratch Anthology." The samples are categorized in folders by BPM, beginning at 80 BPM all the way to 125 BPM, with increments of 5 BPM per folder. As a bonus, there is an additional bank with the traditional scratch sounds. Basic Scratches, Combos, and Rubs are a mixture of the different fundamental techniques dj's have performed through the years! "Scratch Anthology" is perfect for all you vinyl freaks, scratch addicts and turntable junkies! Basically if you want to mix funky, outrageous and professional urban elements into your songs you will have a field day with "Scratch Anthology!" What are you waiting for? Le-le-lets ge-get scratching! 1,10 GB (730MB before content duplications) of scratch/turntable loops. The Following End User License Agreement is included with Scratch Anthology. This License is only valid for the individual who has purchased an unopened, new and lawfully made copy of Scratch Anthology from a dealer or distributor authorized by Big Fish Audio.